MB is returning to the Irish homeland for a short break. Landing in Dublin tomorrow midday and then heading south-west to Limerick & HX. 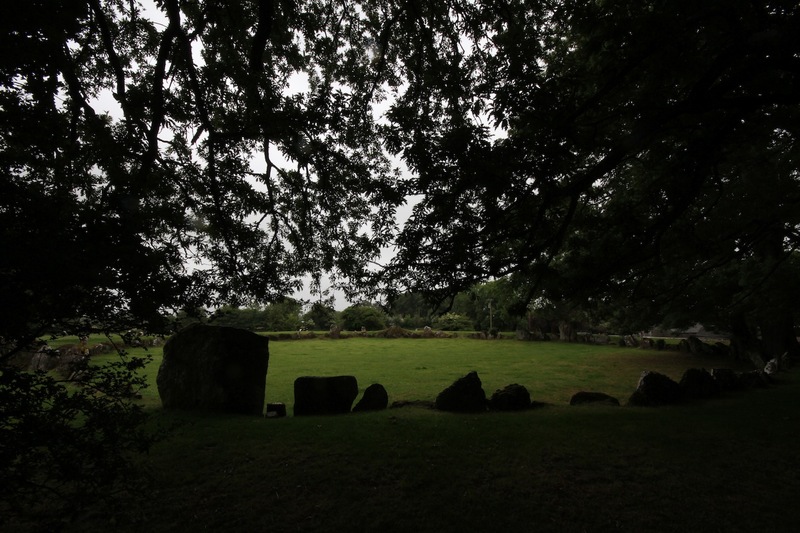 The following day, 21 June, is the day of the Summer solstice and MB will be up before dawn to take in the rising sun at the local Grange Stone Circle. Some who are into Celtic spirituality or Druidism, others who respect or worship the sun in some way, and yet others who just like an occasion will gather at the circle before sunrise to witness the sun’s appearance, on what will hopefully be a morning of clear skies. Some will camp in the circle overnight and maybe the sound of drums will be heard. Offerings to the Sun Gods of fruit or vegetables are also occasionally left in the circle during the dark of night. MB will just be there with camera circa 4am. Official sunrise is 5.10am but it’s bright much earlier than that. So maybe see one or two of you on the morning. Breakfast at MB’s is also a possibility! Hi MB, enjoy the return home. Gypsy and family are currently touring your homeland, having spent last night in Dublin and resting our old bods here in Cork for tonight. We’re on a two-week driving tour of southern England, Wales and Southern Ireland. We will be moving on to Dingle to see if we can locate any of Smilin’ Vic’s ancestors either tomorrow or the day after. It’s been glorious and sunny for the last week. What a beautiful slice of green you hail from! Can’t wait to see your pics. You must take boat trip from Dingle to see our famous dolphin called Fungi. Kids (& you2!) will love. And take a trip out to Slea Head not far away – the most westerly point in Europe. A little slice of heaven. Order fish in the restaurants – hard to beat! Will give to link to some census reports of hundred years back and SV may be able to see mention of his forefathers. Try to get name of a village or townland where they lived. Thanks MB. From Dingle proper, descended from the Clifford’s and McKays. Can’t wait to try the fish, I’m an Atlantic Canadian after all (!) and have heard a lot about the friendly dolphin. Send along any travel tips; much appreciated. You are beautiful part of Ireland. Repeat – Do not miss Slea Head. Enjoy! As regards SV – try to get town or village name where ancestors lived and can help you after receive that info. The census in the early days stated how many could read and write in the household and how many windows the house had, as the more windows you had in you house the richer you were. Think even taxes were imposed based on window nrs. Anyway, leave it with you. Can’t wait to land tomorrow! And if by any chance you are passing through Limerick in coming days (next door to Cork/Kerry) message me on WordPress. We have our Lough Gur village festival this weekend with family day by the lake as the major event on Sunday afternoon. Most welcome and welcome to stay with me and family for a night or two. Adios for now. Sorry – just saw they were from Dingle. Will investigate further and get back to you.